Conclusions to news articles—or any kind of article for that matter—are important because they wrap up the story and comfortably tell the reader that they've reached the end. Think about any news story or op-ed piece that you thought was well-written and you'll notice it ended with an important or interesting piece of information. The truth is, everyone has a hard time writing conclusions. But don't fret. This list of seventeen kinds of conclusions will help you polish off your next piece of writing. Bookmark this list, keep it handy, and reach for it the next time your brain is out of fresh ideas. Circling back to your main point is the most straightforward way to wrap up your article. Simply reiterate your main point with slightly different verbiage. It may not seem very creative, but it's logical and it works. For example, an article about the need for clean energy could end with a statistic about the melting of the polar ice caps. Summarizing is different than reiterating. Instead of focusing on the main point, you could wrap up with a quick revisit of your document's body text. An article about the nuclear arms race could end with information about the current status of China and North Korea's nuclear arsenal. Have you ever read something, gotten to the end, and thought, "So What? Why should I care?" In other words, what is the outcome or consequence of the main points made in the article? For example, an article about the lack of qualified high school basketball coaches in your area should conclude with statistics about the low percentage of NBA players from areas with unqualified high school basketball coaches. If your article, essay or blog post is pretty complete and doesn't need a "so what? ", nor a reiteration, consider sending the reader in a new direction. It works well for blog posts. For example, you could end a blog post similar to this article by saying something along the lines of, "Of course, there are plenty of credible blogs out there hiring freelancers. Try checking out any of these," and then list blogs you know are credible. Spur your readers on by challenging them in some way. Invite them to prove or disprove your point, or to think about the information you presented in a new and innovative way. Allowing the reader to comment or send a letter to the editor is always a powerful way to end an article. This one tends to be easy. It mentally places your reader in the future while keeping your article in mind. This makes it more likely the reader will use your information or revisit your publication. For example, if you are writing an article about increasing your freelance writing rates, ask the reader to consider the benefits of doing so—such as more savings, fewer work hours and higher self-esteem. Ask the reader to consider new information or a new connection birthed by your article. This connects your article to the bigger picture. For example, an article about a new social media platform could conclude with how this digital offering plugs the readers into what is relevant today, whether they are 26 or 62. If you opened your document with a scenario, story or vignette, revisit that scene. It works well for many types of articles and tends to add interest to weighty information. For example, if your article is about gun control, go back to your opening scene about Parkland or Shady Hook. L et's say you opened an essay on the Gettysburg Address with a quote from Lincoln. Conclude by letting the reader know that the Gettysburg Address is considered one of the most important orations in American history because it was the official dedication ceremony for the National Cemetery of Gettysburg, on the site of one of the bloodiest and most decisive battles of the Civil War. Many writers are partial to pithy quotes. If you can find one that supports your article or essay, feel free to use it—as long as you attribute it properly. You don't want to violate any copyrights. If your article explores the importance of details in mid-century architecture, end with Mies van der Rohs' famous line, "God is in the details." If your article focuses on a problem, use your conclusion to point the reader to a good solution. It works well for political and sociological pieces. For example, an op-ed about the need to engage more students in the political process could end by mentioning the League of Women Voters, which helps pre-register 16-year-olds. If your prose is limited by a word count, offer your reader further resources to continue learning about the subject at hand. For example, an article about starting a business could send readers to ​their local Chamber of Commerce. It is similar to issuing a challenge but more concrete. For those who write online, this may come in the form of asking the reader to click a link leading to your other pieces about the same subject. The importance of leadership to the success of a business could have the reader click on a link to a recent entrepreneur.com story with advice from exemplary leaders. This conclusion works well for pieces meant to be persuasive or to provide a solution or challenge. It entails pointing out the great things that will happen to the readers if they accept and act upon your point of view. For example, if you are writing an article about the need for people to adopt shelter dogs, let the reader know how many dogs could be saved each year through adoption. For example: "It's up to you: Do you want to write great conclusions or not?" Place your article, essay, blog post or e-book within a larger context. 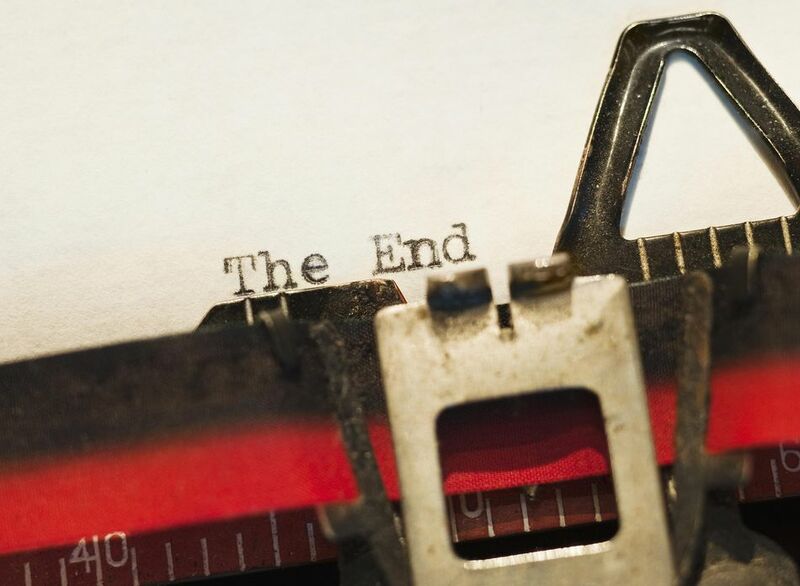 If you're writing a how-to piece about conclusions, connect the ability to write conclusions to the advancement of one's career by saying, "Your clients will appreciate the skill that you have in wrapping up your copy, and will hire you again and again." Switch gears, and approach the other side of an argument. For example, you could conclude an article about writer's rates by saying, "Then again, some very good writers prefer not to earn a living through their craft, and prefer being hobbyists, and that's perfectly fine."